Many of us are counting down the days till Thanksgiving and Christmas. I know I am. The holiday season is supposed to be a wonderful time where we get to spend time with our family members and friends, but let’s be honest… it can be just as stressful. 1. Don’t be afraid to partake in some indulgences such as pumpkin pie or that extra sitting of turkey. The goal is to fill your plate with a large portion of healthy foods so you can still enjoy those not so healthy ones (Krippendorf, 2010). 2. If you are traveling and are ill please bring extra supplies and medications just in case you experience travel delays (Nurmi, 2011). As a general rule carry snacks and a blanket on your travels should you experience some type of delay (Steffes & Steffes, n.d.). 3. Consider online shopping to reduce that stress that comes with last minute impulse buys and reduce the strain to your bank account (Palmer & Cooper, 2013). Holidays are not about buying extravagant, expensive gifts. 4. If you are hosting a meal during Thanksgiving or Christmas be prepared to have extra food should someone stop by unexpectedly (Krippendorf, 2010). Word to the wise, go to the grocery store and buy more food than you will need at least 4 days before. 5. We all have those family members we could go without seeing, however, don’t let them be the reason you dread the holidays (Nawijn, 2012). 6. Exercise regularly to reduce holiday stress. It is a way to let go of the bad and feel better afterwards (Adamson, 2009). Exercise is vital to everyday health. I hope you enjoy the holiday season and see the rainbow at the end of the season. It is after all about spending time with your loved ones and giving thanks for everything you have. Adamson, E. (2009). 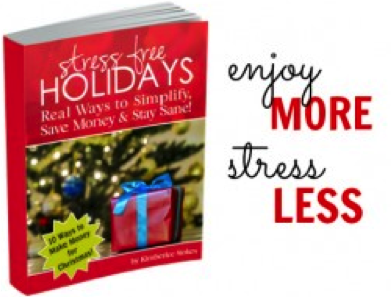 365 ways to reduce stress: Everyday tips to help you relax, rejuvenate, and refresh. Adams Media. Krippendorf, J. (2010). Holiday makers. Taylor & Francis. Palmer, S., & Cooper, C. (2013). How to deal with stress (Vol. 24). Kogan Page Publishers. Nurmi, N. (2011). Coping with coping strategies: How distributed teams and their members deal with the stress of distance, time zones and culture. Stress and Health, 27(2), 123-143. Nawijn, J. (2012). Leisure travel and happiness: An empirical study into the effect of holiday trips on individuals’ subjective wellbeing. Faculty of Social Sciences (FSS). Luis Espinoza is a Sociology doctoral student at Texas Woman's University (TWU) with areas of specialization in Social Stratification/Social Inequality and Health & Illness. His research interests include: Maternal and Child Health, Latino Disparities, Medically Underserved Populations, Health Education/Health Promotion, and Infectious & Chronic Diseases. If you are interested in getting in contact with him please contact him at Luis.Espinoza@twu.edu. Liked this post? Be sure to share it! You can also follow us on Facebook!